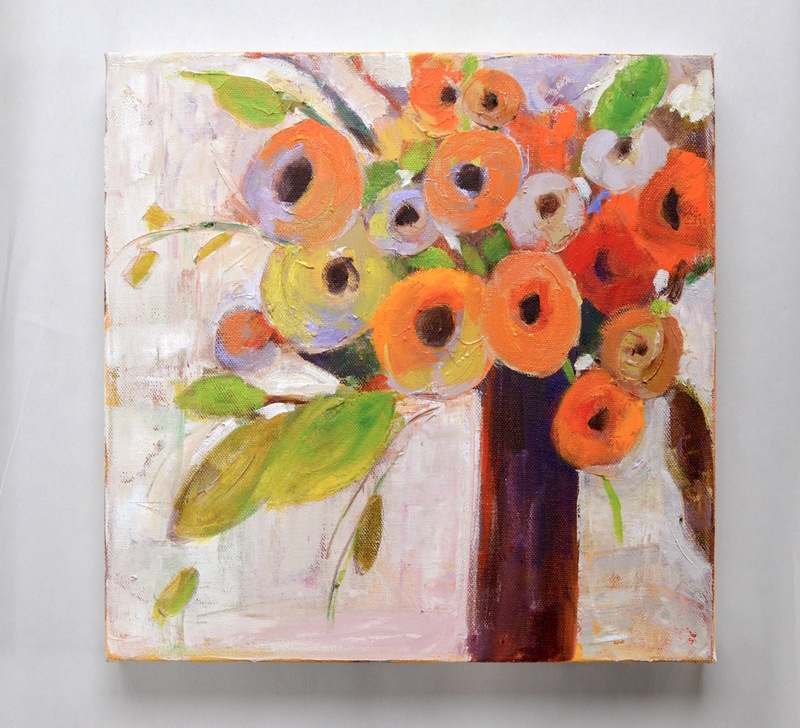 This pretty abstract floral painting has a nice combination of orange and green with some purple mixed in. The orange and red colors are not very saturated. 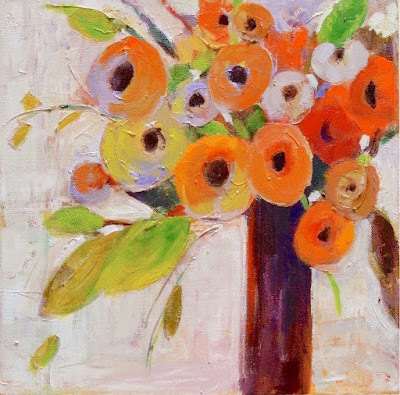 I wanted to add a touch of neutral orange and not just pure orange so it does not look overpowering.